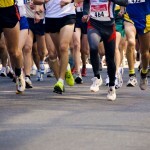 On Sunday April 26th, be prepared for the Times Colonist 10K running race! The 10K route leads down Moss Street, right by hemma, before taking a left onto May Street. There is also a half marathon along Beach Drive and Dallas Road. If you are participating, don’t forget to wave as you pass by! If you are coming to hemma in the morning, and arriving by car, make sure to check the map on the TC 10K website to find the best route. Most racers should pass by hemma between 8:20am and 10am.